We do not believe in Valentine’s Day particularly, but we do believe in love. At bai&by, we believe in all of the types of love that exist, and se them as the fuel that drives the world in which we live. A couple’s love, love of animals, the love between friends who share good and bad times, a mother’s love, etc. 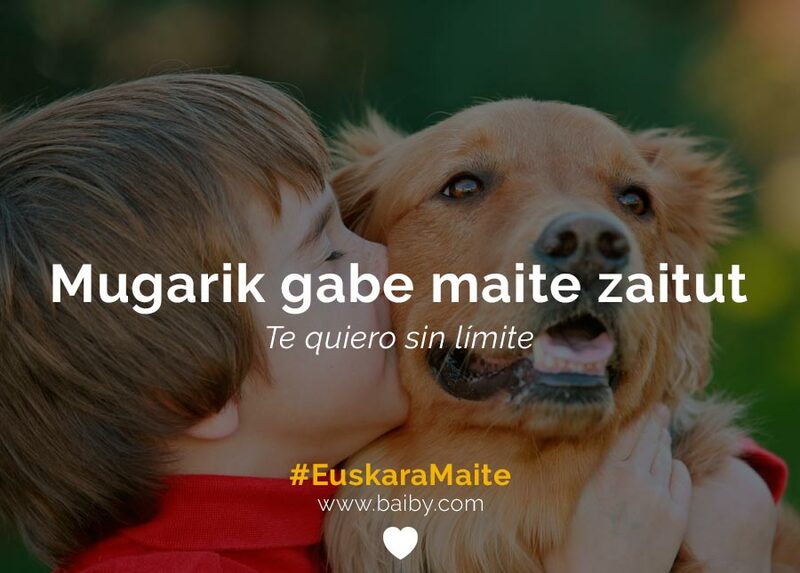 In our case we feel a fervent love for teaching languages in general and Basque in particular. It is our passion, the main reason why we dedicate ourselves every day to our smart method for learning languages. 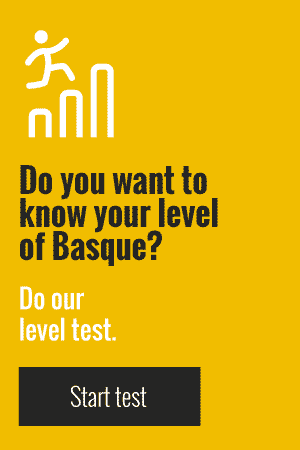 That is why we wanted to take advantage of this date to declare our love of Basque to the four winds. How? 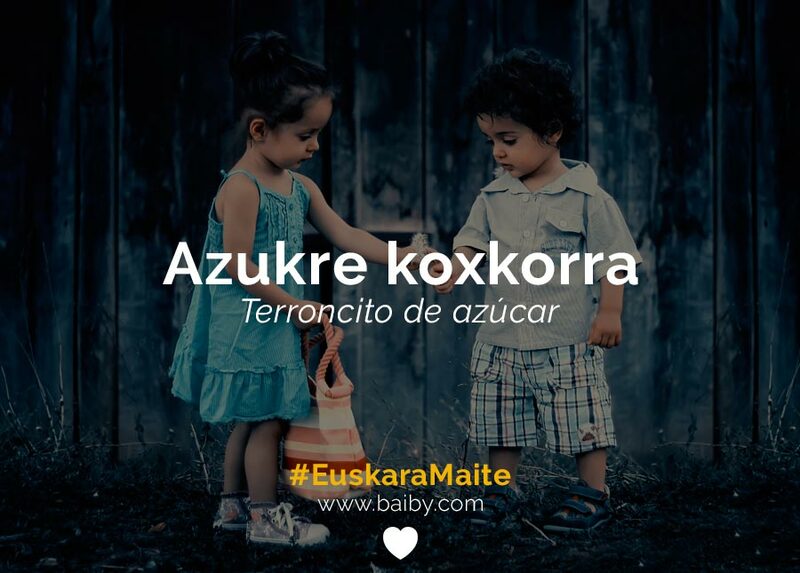 By compiling phrases of love in Basque and other romantic material, such as songs. Are you ready for an overdose of sweetness? Let’s go for it! 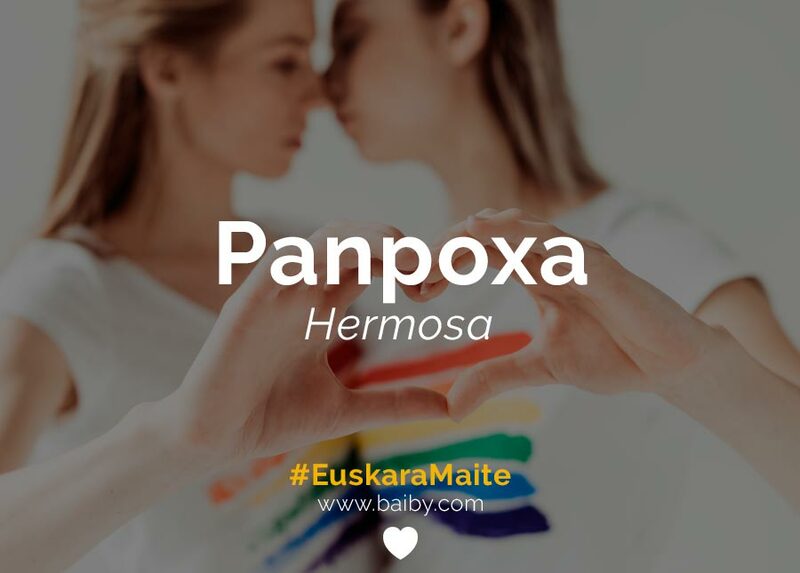 Frases de amor en euskera, ¡declárate ya! 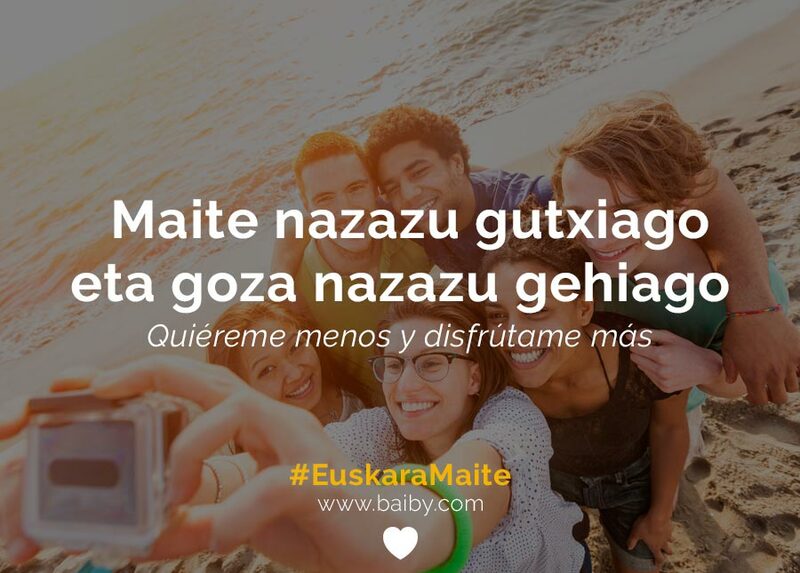 Romantic phrases in Basque, declare your love now! Azukre koxkorra = sugar cube. Maite nazazu gutxiago eta goza nazazu gehiago = Love me less and enjoy me more. Ilargiraino eta buelta maite zaitut = I love you to the moon and back. 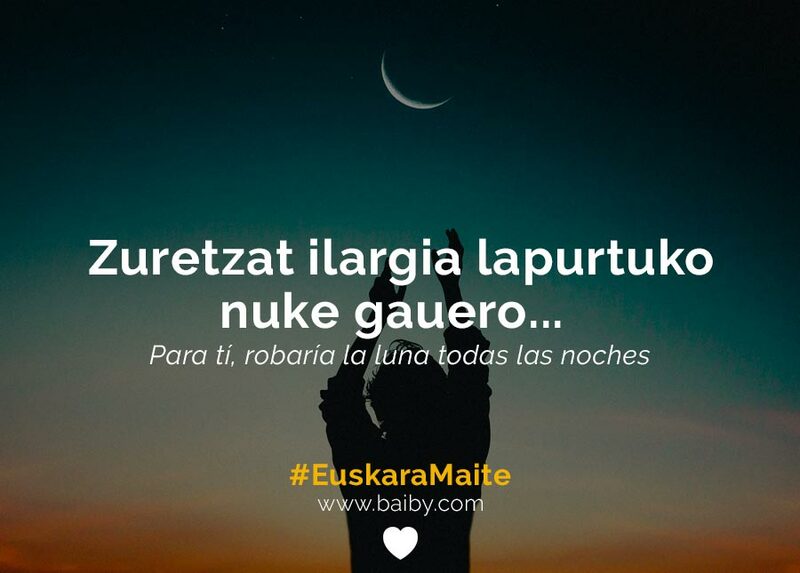 Zuretzat ilargia lapurtuko nuke gauero = For you, I’d steal the moon every night. Chorus from the well-known song ‘Ilargia’ by Ken Zazpi. Munduari buelta emango nioke helmuga zeu izango bazina = I’d go around the world if I knew you were there at the end of the journey. 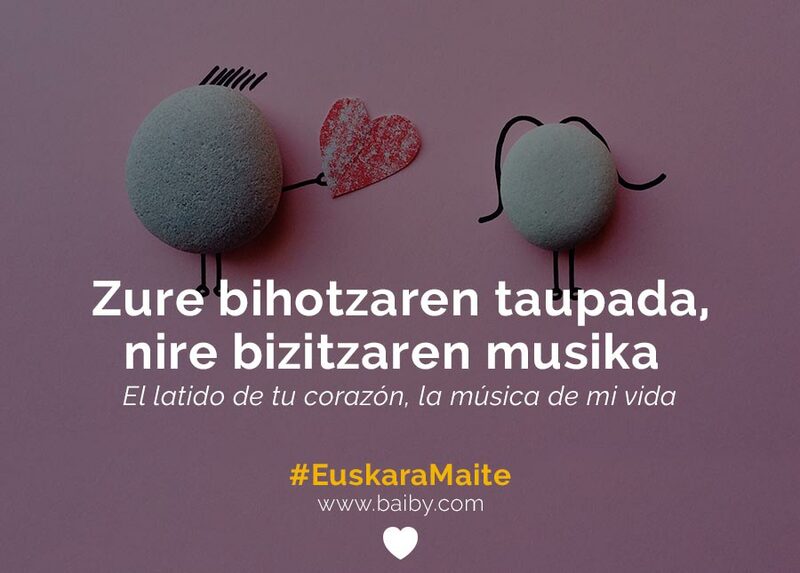 Zure bihotzaren taupada, nire bizitzaren musika = The beat of your heart, the music of my life.